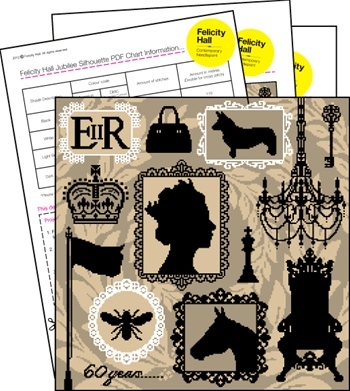 Something a bit different: this Jubilee Silhouette design is by Felicity Hall and can be purchased as a downloadable PDF. Find out all about it here. Price: GBP5.00 when on special, 10.00 when not. Comes with colour codes for Appletons and DMC. You could just take elements of this if you wished, for a smaller/different version.